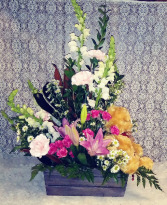 November's Crown Floral Design in Dayton, OH - ED SMITH FLOWERS & GIFTS INC.
A wooden rustic crate is designed with fresh florals and a plush bear. 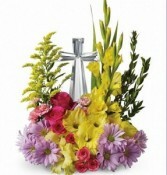 Colorful pastel flowers surround a crystal glass cross. 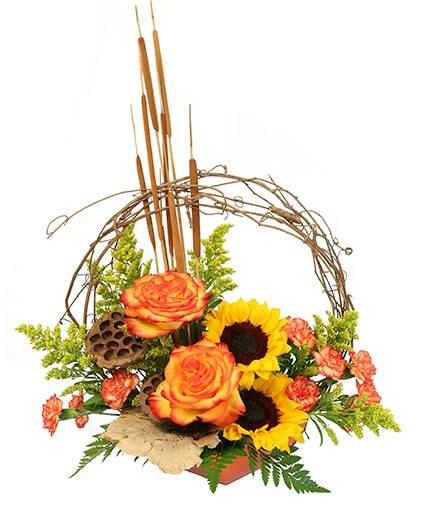 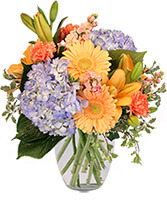 Some flowers may be substituted due to availability and season while maintaining the style and look.